Aztec's flexible design meets all rooﬁng profiles. 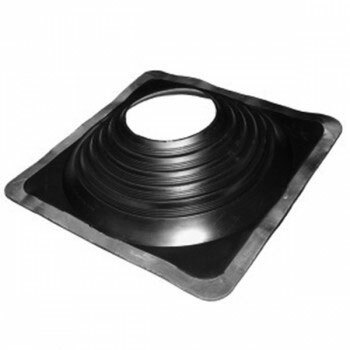 Boot flexibility accommodates vibration and pipe movement caused by expansion contraction. The soft aluminium base easily conforms to most metal roof profiles. Made of E.P.D.M. or Silicone compounds, these flashings are compounded speciﬁcally for maximum resistance to weathering due to ozone and ultraviolet light. The base is designed to form a seal on most panel conﬁgurations and roof pitches regardless of pipe location. The addition of fire retarding agents milled directly into the rubber compound creates a self extinguishing feature which enables it to be used with type "B" vents. Listed with IAPMO certification No.3121.